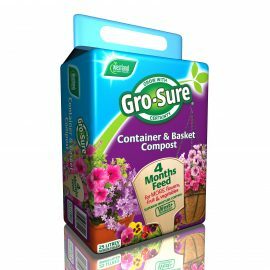 Gro-Sure® Container & Basket Compost has been specially developed to give gardeners the ideal medium to use in pots, hanging baskets and containers. 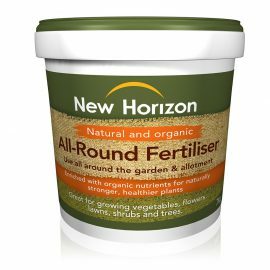 Containing 4 months feed and our patented West+ fibre this high performance compost offers unrivalled results in plant health and moisture retention. 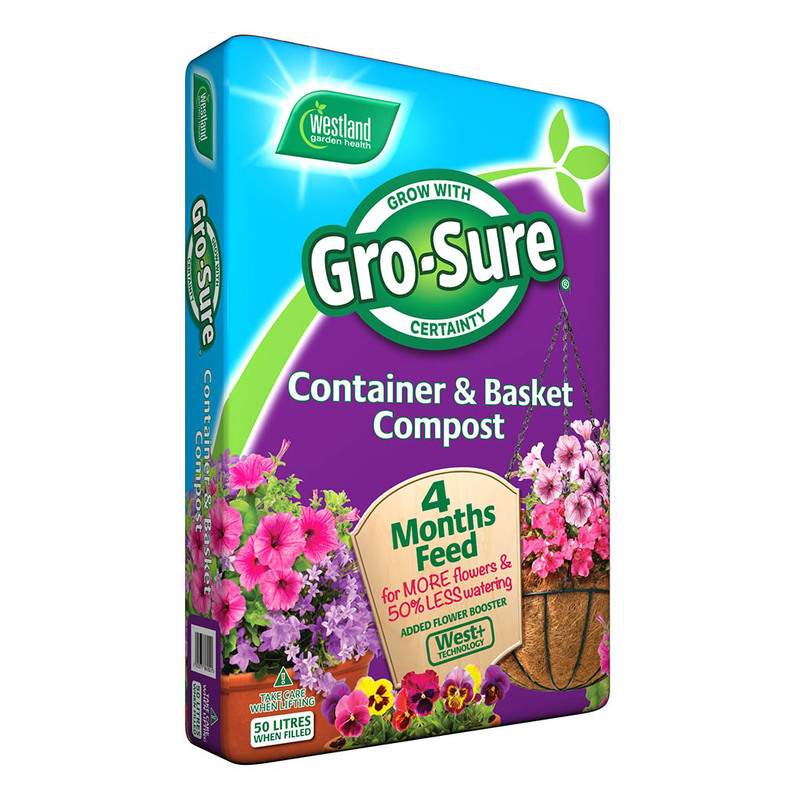 What makes Gro-Sure® Container & Basket Compost so special? 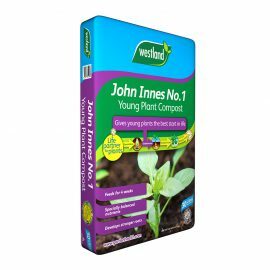 Unsuitable for ericaceous (lime hating) plants. First put on a pair of gloves and rework the compost between your hands to reconstitute. Then you’re all set. 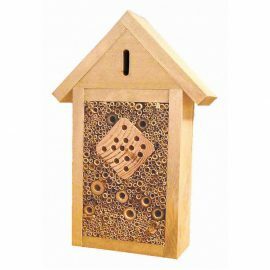 Choose container with adequate drainage holes. 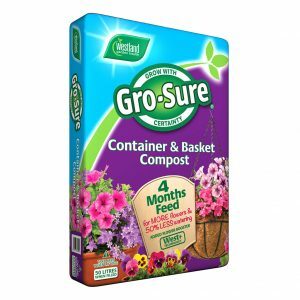 Place layer of grit in container and fill with compost. 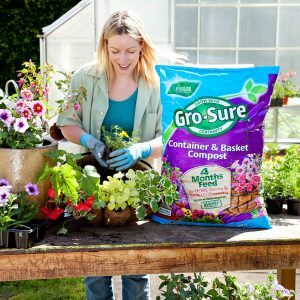 For hanging baskets, line basket with moss or liner and fill with compost. Plant with trailing plants around the edge and upright plants in the middle. Water well. 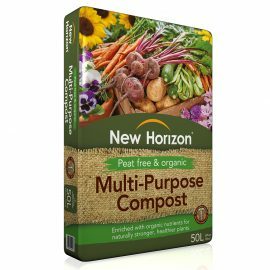 Benefit: 50% lighter than standard compost so it’s perfect for roof top and balcony planting too. 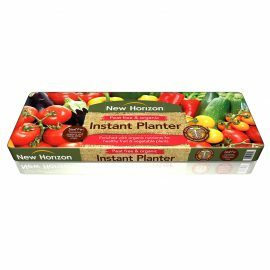 Water plant well and allow to drain before potting. 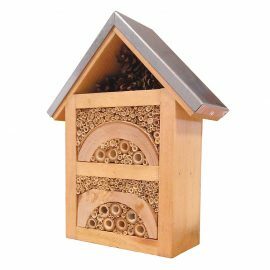 Allow enough space to accommodate roots. 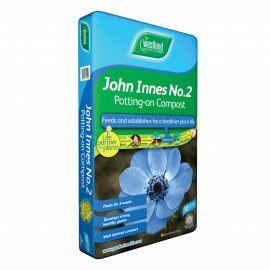 Remove from pot and plant in new container, firming the compost gently around the roots. Once fully planted, water well. Dig a hole twice the size of root ball diameter and add a layer of compost. Place plant in hole and back fill with compost. 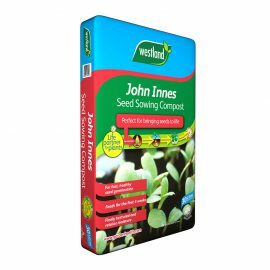 Firm compost around plant and water well.